Japanese researchers used weather bombs to study seismic waves and predict earthquakes. Scientists witnessed a rare weather bomb phenomenon taking place off the coast of Greenland. The event might help researcher discover new facts on what happens inside the Earth’s core. The phenomenon is caused by a seismic movement called the S wave, and the researchers used a seismic array to monitor its evolution. The velocity of the S wave went from 20 to 22.2 kilometer per second. The event is extremely hard to detect because they usually fall under the general seismic noise of the planet. The P waves can be sensed by animals before an earthquake takes place. They travel straightforward and have a greater speed than the secondary waves. Meanwhile, the S waves are fainter and more difficult to detect because they move slow, and their signals mix with other crust movements. However, the S waves can cause stronger tremors during an earthquake than the P waves. The severe storm from the Atlantic Ocean generated both S and P waves. By following their energy, researchers managed to make inferences on the composition of the Earth’s interior. The Japanese scientists used data from 202 seismic stations all over Japan. They explained that today’s information on the internal structure of our planet consists of studies surrounding the effects of earthquake waves. The researchers managed to register the S wave and then track it down to its origins, a cyclone over the North Atlantic Ocean. The seismic waves traveled all through the Northern Hemisphere, from Greenland up to Japan. 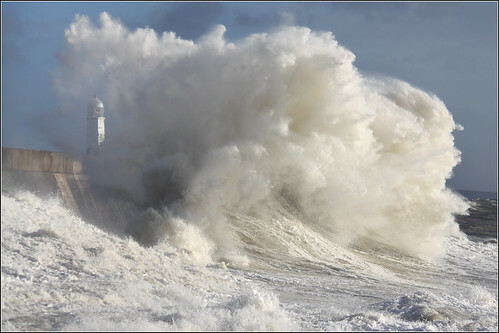 Weather bombs take place when the waves created during a storm send energy towards the ocean’s storm. This results in the birth of microseisms that travel through the crust of the planet. The study may help towards a better detection of oceanic storms and earthquakes, as up until now it was tough to determine in due time the moment the tremors will start and where will they hit the upper crust of the Earth. The seismic waves are created by explosions or rock breaks inside the Earth. The energy released is later transferred into surface and body waves. As there are very few earthquakes in the mid-Pacific area, the researchers have little knowledge on what happens beneath the surface of the Pacific Ocean. Therefore, studying the waves created by ocean waves may offer more clues. By monitoring the way the waves propagate through the lower crust, the mantle and the core of the Earth, the researchers could draw conclusions referring to the density and composition of these internal layers.